If you’re looking for the best new interactive toy that is 1) actually fun 2) good for multiplayers 3) extremely portable, Sifteo Cubes are a match made in heaven. They are literally technology-infused building blocks for kids. Sifteo Cubes contain the specs that rival most budget tablets and smartphones. Each cube contain sensors on all four sides that recognize when the cubes neighbor and touch each other to extend the screen. This means infinite screen real estate, as long as you’re willing to rearrange and pair cubes to one another. 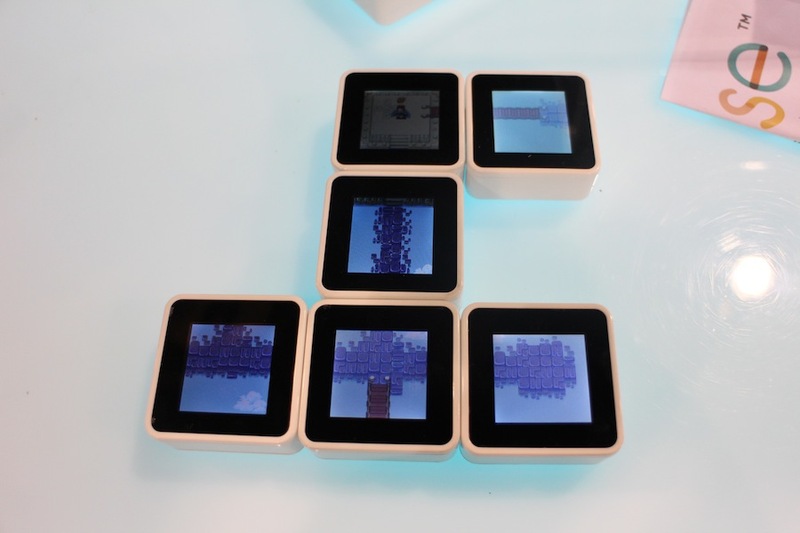 The cubes also feature touchscreens so you can play various types of games on the device. For example, we got to demo an RPG emulator that asked players to connect the cube to create pathways for the main character to walk around and collect items. To move from one cube’s screen to the other, the user just has to tap the connected cube’s screen. In another multiplayer game, users see balls in four different colors and are required to tilt the cube so balls would fall on one side, and connect it with another cube that has balls of the same color to make them disappear. It’s basically Bejeweled 3.0, and has a very small learning curve before you’re battling with four other players to get the new high score. Graphics are also quite impressive, outfitting pixels that remind us of the good old Nintendo DS while maintaining full color vibrancy. 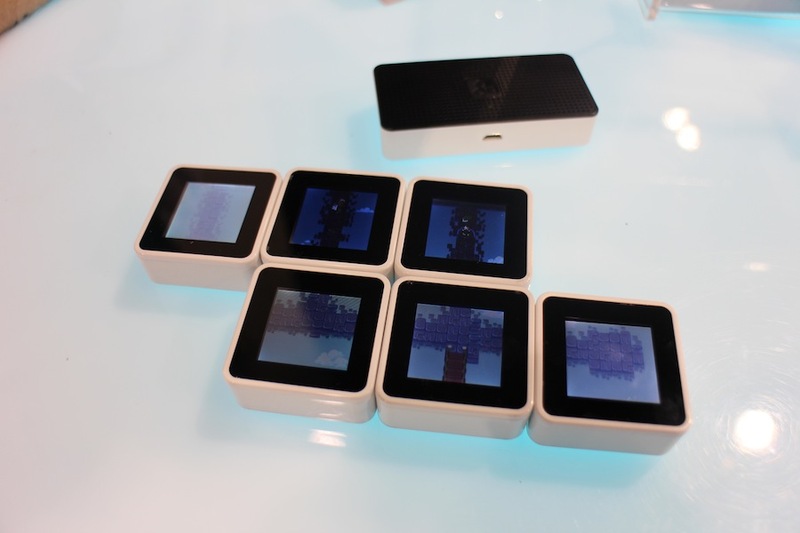 The cubes all communicate with the main dock via a proprietary chip that’s similar to Bluetooth, and each run on AAA batteries that last approximately six hours in continuous play. You can also purchase more cubes and connect up to 12 per session. At launch, Sifteo offers a handful number of games available for the device but there is also an Open Source community for programmers to create their own gaming or educational apps. It’s a neat way to improve logic skills without jumping on Dance Dance Revolution pads to exercise hand-eye coordination. Sifteo Cubes are available now online and in Barnes & Noble stores at $130 for a starter kit containing a dock and three cubes. Additional Sifteo cubes run for $30 apiece.